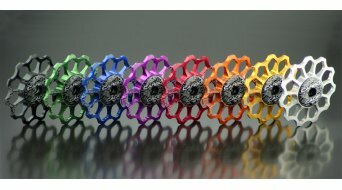 Black, white, grey or in bright multicolours. 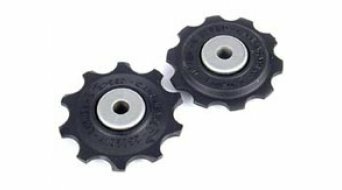 The role of pulleys is to make sure that that everything works smoothly when changing gears. 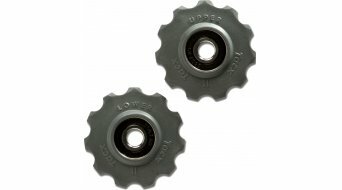 They are also called jockey wheels. 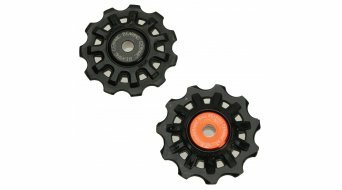 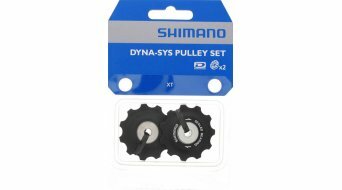 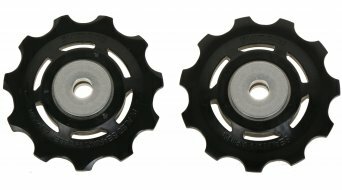 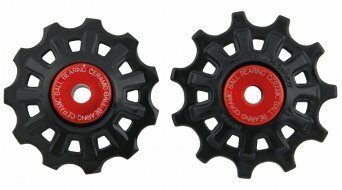 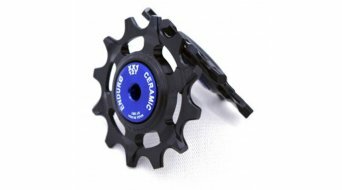 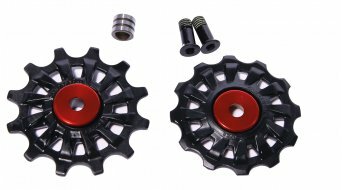 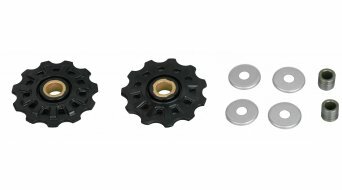 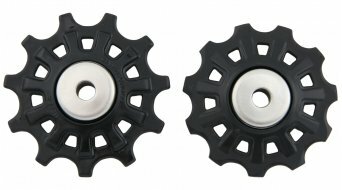 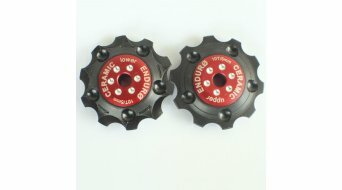 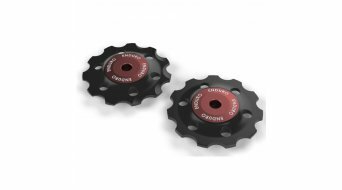 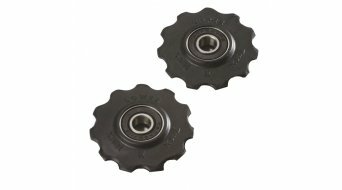 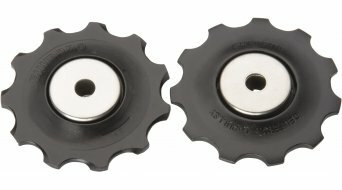 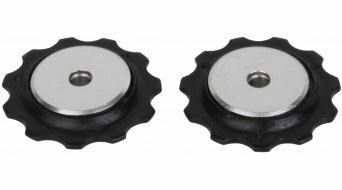 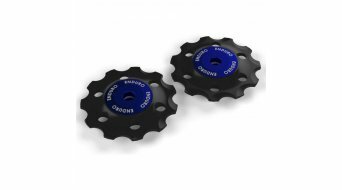 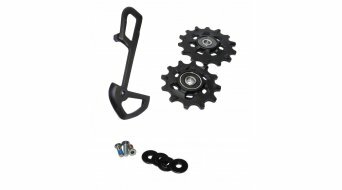 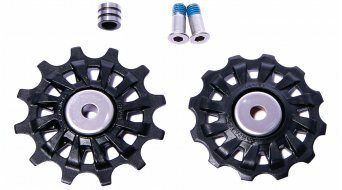 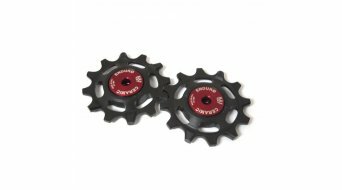 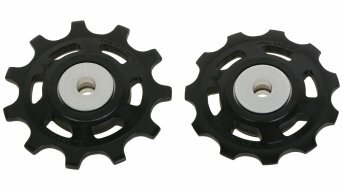 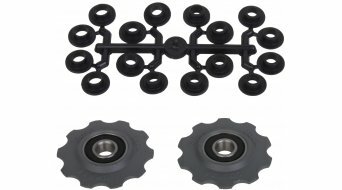 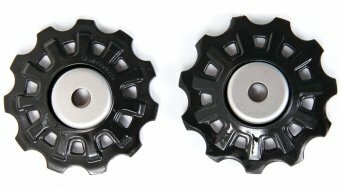 They are available as jockey and guide pulleys (guide pulley and tension pulley) or individually, in different sizes (number of teeth) and coloured anodised rollers for those of you who wish to add colour contrast to your bike. 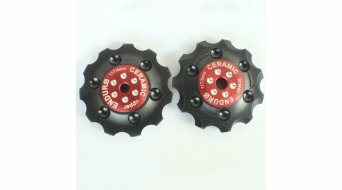 Mostly they are made of plastic, some are made with additional ceramic. Naturally, one can also save weight with pulleys. 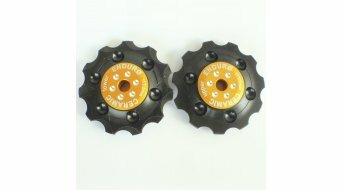 Make sure, that they match your rear derailleurs(and we don't mean the colour). 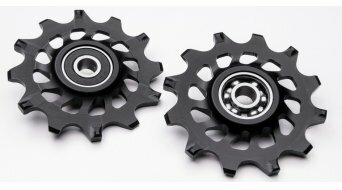 You can usually determine this from the product description. 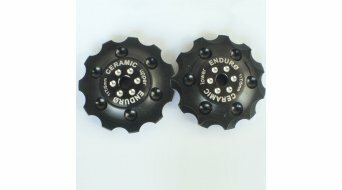 The manufacturers always note with which rear mechs the jockey wheels are compatible (e.g. 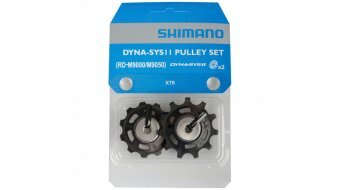 9, 10 or 11 speed and which brand) or they are described by size. 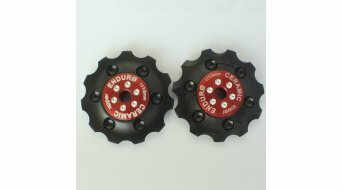 You will find here a suitable pulley for your bicycle at a competitive price!